Independence is a township located in Michigan with a population of approximately 36,000 people. Independence Township is a great place to raise your family. Whether you are new in town or visiting The DTE Energy Music Theatre, don’t let tooth pain zap your energy. Make an appointment with an emergency dental and start dancing the night away. 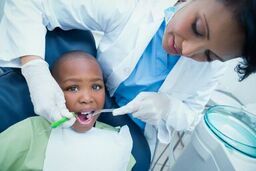 When you need to find a dentist with walk in availability or extended hours in Independence or the surrounding area, emergencydentistsusa.com can help. We have compiled a list of dentists and dental specialists in the Independence area. The only thing you will need to do is view the list and choose the dentist you wish to visit and then give them a call. If you are in a rush or cannot view the list right now, but you still need to see a dentist, please call our toll-free dentist finder hotline. Our team of professionals is trained to listen to your unique needs and help you identify the dentist or specialist that is right for you. We will look for nearby options and let you know which dentist is closest to you, their hours of operation, and what insurances they accept. All you will need to do is tell us which dentist you would like to visit and we will schedule your first appointment for you. We do suggest that you arrive approximately 20 minutes prior to your scheduled appointment time and that you bring a photo ID, your insurance card, and any applicable copayment you may have. We know you may find it difficult to find a dentist you that you can trust when you are are new to town. Independence makes it easy with a large selection of general and pediatric dentists that can get you in the same day when you have a dental emergency. If your new dentist finds something that requires a specialist, we also have a great selection of orthodontists, cosmetic dentists, oral surgeons, and much more. Description: Crestwood Dental Group is a general dentistry practice. If you are having a dental emergency, Crestwood Dental I offers same day I next day off for your convenience. The Dr. at Crestwood Dental you is experienced in preventative dental services, fillings, crowns, implants, and much more. If your new dentist determines that you are in the need of specialized dental treatment he will be happy to refer you to one of his friendly colleagues. Description: The dentists at Main Street Dental are there for you and your family. The dentists at Main Street Dental see patients of all ages. If you are experiencing a dental emergency, Main Street Dental offers same day and next day appointments for your convenience. The dentists at Main Street Dental are experienced in all aspects of general dentistry including preventative dental services, fillings, crowns, root canal therapy, extractions, dentures, implants, and much more. With a periodontist on site there’s no need to look further than Main Street Dental. Description: The dentists at Bruce P Mercado DDS PC are available for all of your general dentistry needs. Bruce P Mercado DDS PC offers same day, next day, and Saturday appointments for your dental emergency. The dentists at Bruce P Mercado DDS PC are experienced in all aspects of general dentistry including preventative dental services, fillings, root canal therapy, crowns, bridges, extractions, dentures, implants, and much more. If your new dentist determines that you are in need of specialized dental services he will be happy to refer you to one of his friendly colleagues. A toothache can strike at without a moment’s notice, even when you’re on vacation. Tooth pain is often the first warning sign of a bigger problem, so it is best to be seen by a dentist as soon as possible to get the problem taken care of before it gets worse. If the pain persists for more than a few hours or is the result of a known injury or accident please make an appointment with an emergency dentist or visit the local hospital emergency room to rule out any serious problems. Before you visit a new dentist in Independence please take a moment to verify that your new dentist’s licenses and credentials are active and up to date. To do this, you should visit the Michigan Dental Association’s website and perform a search of the dentist’s name and licensing information. If you are running short on time ask your new dentist’s receptionist, she will be happy to assist you with obtaining copies these documents.